I first fell in love with Jason Schwartzman after seeing “i ♥ huckabees” on DVD three years ago. The film had an amazing cast — Dustin Hoffman, Lily Tomlin, Naomi Watts, Mark Wahlberg and Jude Law — but it was Schwartzman who stole every scene. I don’t watch much TV, but every Sunday evening I try to catch the HBO series, “Bored to Death” — just for Schwartzman. His sidekick character, played by Ted Danson gets laughs out of me when he does physical comedy, and just because he kind of looks like a skeleton clown, but Danson isn’t so great with his lines. He seems a bit stilted. Schwartzman’s other sidekick, who is played by the ubiquitous Zach Galifianakis, isn’t so funny, either. Galifianakis — known to everyone as Zach “Gal-ee-fi…oh, you know, the fat guy with the red hair who is in almost every movie” — was hysterical in “The Hangover” because he knew to play that weird character catatonic-straight, but in “Bored to Death” he’s a bit uneven. And I’m tired of the fat-man jokes. Oh, and Jonathan Ames, please give us some complex female characters. Overall, however, it’s a well written show and Schwartzman puts it over the top. If for some reason you’ve never seen his work, watch this video advertisement Schwartzman did for The New Yoker’s new iPad app. 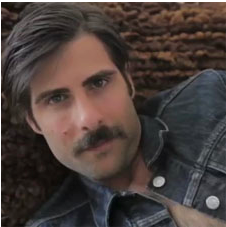 The ad lasts two minutes, and that’s all the time you’ll need to see why I ♥ Schwartzman. Next Post Do you believe Meg Whitman?